Elemis Skin Buff is a proven exfoliator that brightens your complexion, helping to re-energise dull and lifeless skin with deep cleansing phytoplankton in a shea butter and beeswax base. The fine exfoliating granules in Elemis Skin Buff slough away dead skin cells, leaving your complexion brighter and better able to breathe. 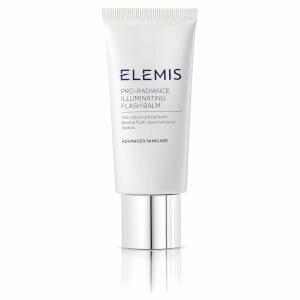 It contains extracts of laurel, hops and soothing chamomile to calm and enrich your complexion. Massage gently in to wet skin and rinse. Diatomacwous Earth gently buffs away dead skin cells. Phytoplankton hydrates, cleanses, and plumps the skin. Chamomile calms and comforts. Water (Aqua), Diatomaceous Earth (Solum Diatomeae), Helianthus Annuus (Sunflower) Seed Oil, Propylene Glycol, PEG-100 Stearate, Glyceryl Stearate, Butyrospermum Parkii (Shea Butter) Fruit, Cetearyl Alcohol, Cetyl Alcohol, Beeswax (Cera Alba), Copernicia Cerifera (Carnauba) Wax / (Cera Carnauba), Fragrance (Parfum), Humulus Lupulus (Hops) Extract, Spiraea Ulmaria Extract, Chamomilla Recutita (Matricaria) Extract, Laurus Nobilis Leaf Extract, Ethoxydiglycol, Ceteareth-20, Tocopherol, Methylparaben, Dichlorobenzyl Alcohol, Diazolidinyl Urea, Propylparaben, Citronellol.